Residents of Miami, Ft. Lauderdale, Kendall, and nearby South Florida communities are receiving state-of-the-art comprehensive, compassionate treatments at Miami Dermatology and Laser Institute for scar revision, performed by our medical director, Jill Waibel, MD, FACS, a reputable and celebrated specialist in the area of cutaneous laser surgery for scar revision treatments. Jill Waibel, MD, FACS, is an acclaimed, board-certified dermatologist in Miami, FL with a specialization in cutaneous laser surgery, as well as cosmetic and medical dermatology for patients of all ages. Dr. Waibel is the founder and medical director of the Miami Dermatology and Laser Institute in Miami, Florida, a comprehensive medical facility specializing in general dermatology, cosmetic dermatology, laser surgery, and dermatology surgery, including Mohs surgery, with offices in Miami and Coral Gables. 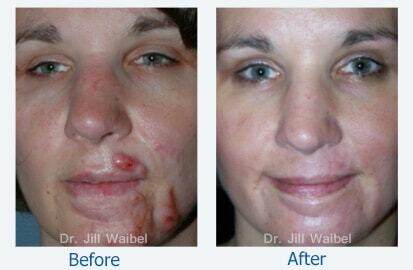 Dr. Waibel is a specialist in cutaneous laser surgery and focuses on a variety of scar revision treatments. She is passionate about helping people recover from scarring; particularly patients afflicted with hindering and disfiguring burn scars. 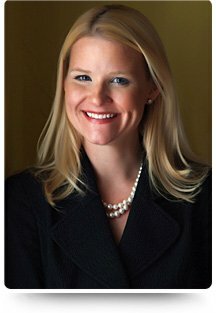 Dr. Waibel stays abreast of the latest and most advanced technologies and techniques in the field of cutaneous laser treatments, and has successfully developed procedures and techniques for treating the scars of burn survivors that have elevated the standards in the field of scar revision. Dr. Waibel’s passion and dedication to furthering the science of scar revision, as well as her commitment to seeing her patients recover both appearance and functionality in any affected area of the body, has earned her significant recognition among her peers in this area. Dr. Waibel is aware that her precision, skill, and innovation in administering advanced laser treatments provides both medical and cosmetic improvements for her patients, often times changing the lives of patients who have lived with unsightly and bothersome scars for years. In addition to her private practice, Dr. Waibel is currently on the faculty as a clinical voluntary professor at the University of Miami, and clinical assistant professor of dermatology at Wright State University. She is also the dermatology subsection chief in the Department of Medicine at Baptist Hospital in Miami. Dr. Waibel is devoted to staying abreast of current research in her field, and is involved in numerous clinical trials in the area of general, cosmetic and laser dermatology. She engages in clinical trials at the University of Miami, and heads the division known as Miami Dermatology and Research, focusing on the use of laser treatments with burn patients. She has also developed key industry patents related to the use of laser and stem cells in her work. 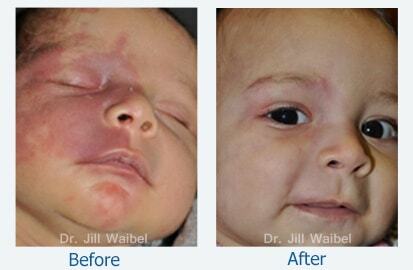 Dr. Waibel is considered a leader in her field and has received numerous awards for her contributions to medicine. Her work has been published in several peer-reviewed journals and textbooks. As an acclaimed leader in dermatologic laser surgery, Dr. Waibel frequently lectures at conferences and seminars around the globe, training other physicians. She maintains and uses over 40 different laser devices in her private practice, and treats a broad spectrum of cutaneous conditions and disease. Dr. Jill Waibel is also a proud recipient of the Presidential Volunteer Service Award. She was selected as “Person of the Week” on ABC World News Tonight in 2015, and is the recent recipient of a Cutting Edge Research Grant awarded by the American Society for Dermatologic Surgery. Dr. Waibel has received numerous awards for her acclaimed contributions to the medical field, including an award granted by the U.S. Surgeon General. She is also a recipient of the 2016 JDD Humanitarian Award for her innovative and compassionate dedication to developing advanced laser treatments to assist patients in healing from traumatic burn injuries. Most recently, Dr. Waibel received the prestigious 2017 American Society for Leadership in Medicine and Surgery (ASLMS) Award for Leadership, Mentorship & Public Advocacy for Women in Medical Science. As part of her commitment to the betterment of patients’ lives and her dedication to disseminating knowledge to help as many patients globally as possible, Dr. Waibel teaches and trains military physicians to help wounded warriors affected by traumatic injuries and battle scars. If you want to renew your life and appearance by finally treating scars from past injury, trauma, surgery, or illness, put yourself in the best possible hands by visiting Miami Dermatology and Laser Institute and undergoing scar revision treatment with Dr. Jill Waibel, a leader in the field of scar revision treatments, serving patients in Miami, Ft. Lauderdale, Kendall, and nearby vicinities in South Florida, as well as visitors to the South Florida area. MIAMI DERMATOLOGY AND LASER INSTITUTE (MDLI) in Miami today.